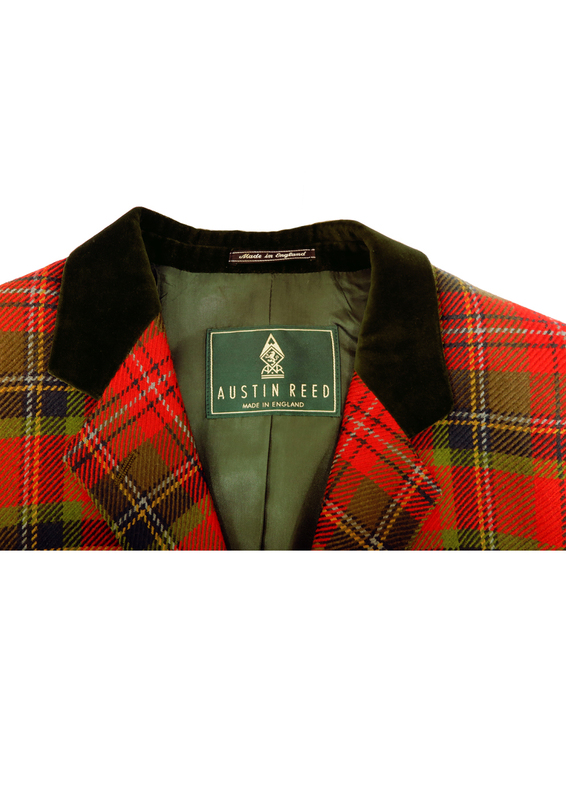 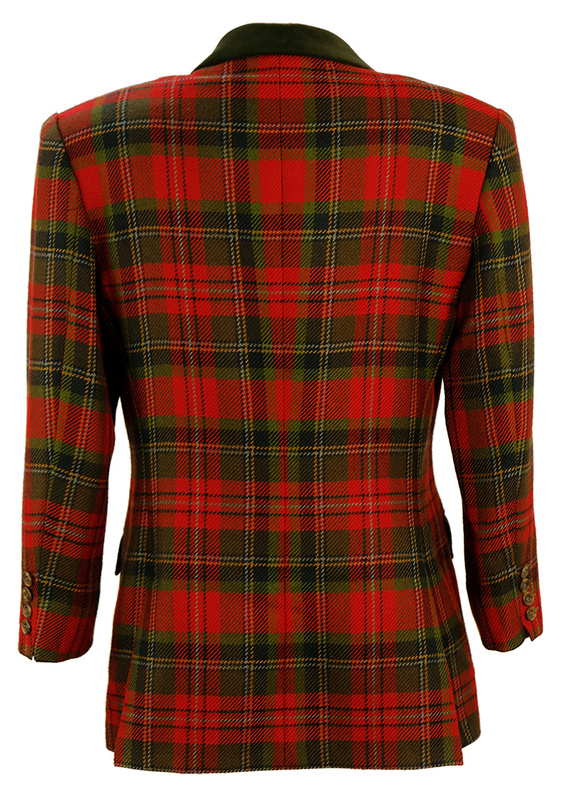 Beautifully tailored Austin Reed 100% lambswool tartan patterned jacket in colourways of red, green and navy with subtle grey & ochre highlights. The jacket has a lovely velvet collar in olive green and two flap fronted pockets as well as an asymmetric seam chest pocket. 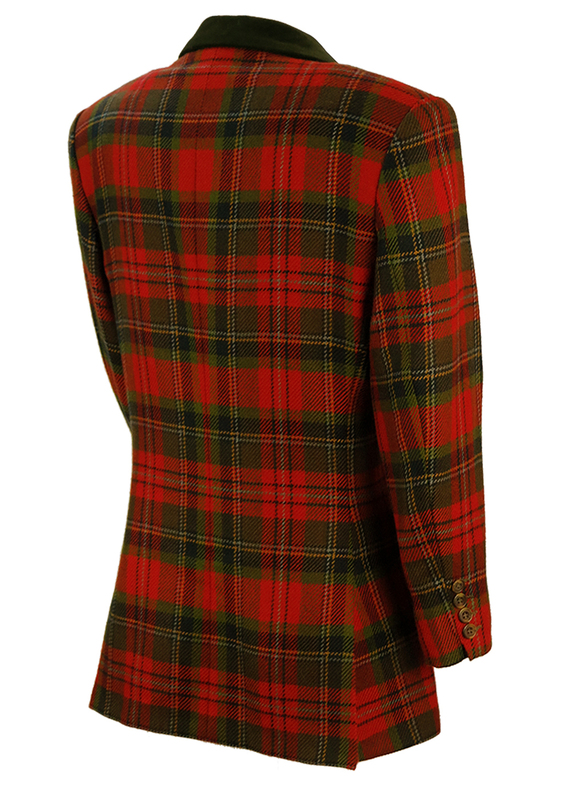 The garment is fully lined in woodland green and is in excellent condition. 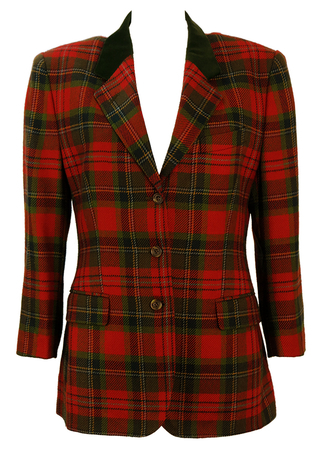 The sizing label states a UK size 10 which we have equated to between a size S/M depending on your chest measurement. 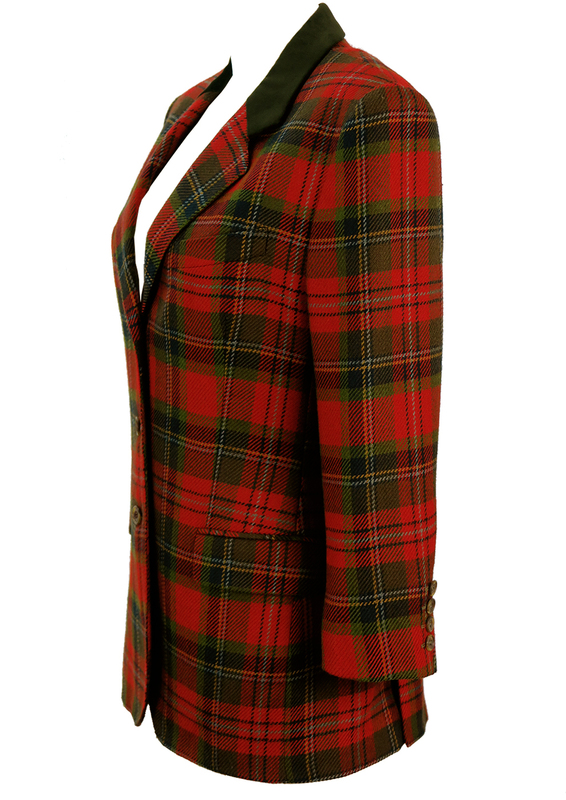 Please refer to our sizing for further guidance.